With Oceanhorn: Monster of Uncharted Seas soon spreading its Windwaker vibe to the PlayStation 4 and Xbox One, indie developer Cornfox & Bros. reveals its next project, Oceanhorn 2: Knights of the Lost Realm, taking the series from top-down to third-person action RPG. The first Oceanhorn arrives on current generation consoles on September 7, completing journey that began on mobile devices and then jumped to Steam.Series creator Heikki Repo tells Kotaku pre-production on the sequel started shortly after the first game launched. One of the key items in the game is the Caster, a gun that shoots magical projectiles! It will have many uses on the player’s adventure, from puzzle solving to luring enemies and casting directed spells. Knights of the Lost Realm promises all the elements of the first game—puzzles, secrets, swordplay, boss battles and excellent music (check out the title track from composer Kalle Ylitalo below) with a slightly more grown-up look and feel. There’ll be an overworld map to explore, plenty of dungeons and towns to visit, all that good stuff. 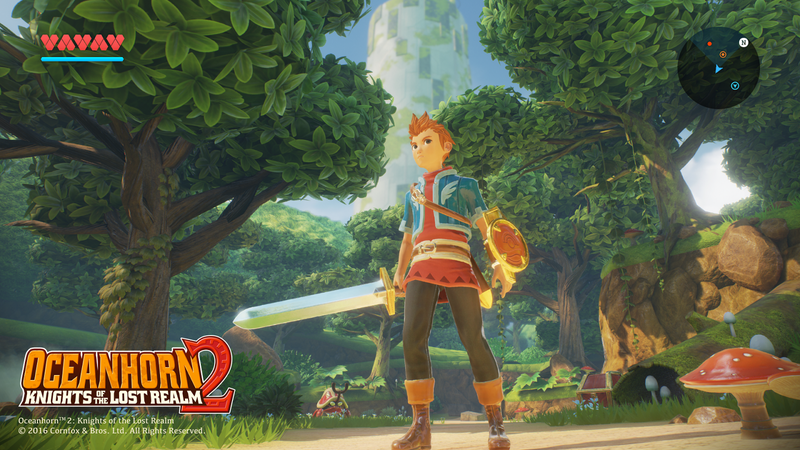 Check out the developer’s announcement post for more on Oceanhorn 2. Ever Wanted to Play Wind Waker On the iPhone?